Altman Lighting continually engages in research related to product improvement. New materials, production methods and design refinements are introduced into existing products without notice as a routine expression of the philosophy. For this reason any current Altman Lighting product may differ in some respect from its published description, but will always equal or exceed the original design specifications unless otherwise noted. All specifications are subject to change without notice. Altman ™, Altman Stage Lighting™, Altman Lighting™, The Quality of Light®, Bringing Imagination to Light™, Shakespeare®, Micro Ellipse™, Micro Par™, Micro Strip™, Master Ellipse™, Master Par™, IQ30™, IQ38™, Speed Cap™, 360Q™, 1KL™, Star Par™, Outdoor Par™, Luminator™, 902™, Dyna Spot™, 1000Q™, Comet™, Satellite™, Orbiter™, Orb-Kit™, Voyager™, Explorer™, Econo Cyc™, Focusing Cyc™, Zip Strip™, Q-Lite™, Action Pac™, Model Pac™, Comm Pac™, Foto Pac™, Swing Pac™, Safe Pac™, Easy Roll™, UV-150™, UV-250™, UV-703™, UV-704™, UV-705™, Smart-Track™ and Altstar™ are trademarks of Altman Lighting, Inc. a subsidiary of Altman Stage Lighting Co., Inc. Source Four is a registered trademark of Electronic Theater Controls, Inc. Some products listed in the catalog/website are protected by applicable patents and patents pending. 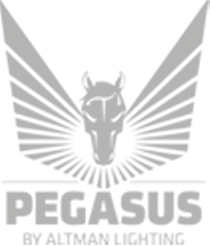 Altman Lighting will take any legal means necessary to protect and defend its intellectual property. 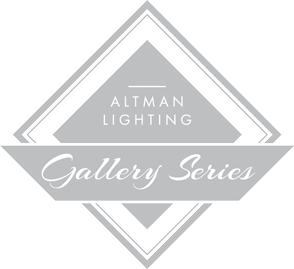 Altman Lighting, Inc., a subsidiary of Altman Stage Lighting Company, Inc., herein referred to as Altman, warrants each new product (except for spare parts or products Altman does not manufacture) for a period of TWO (2) years from date of shipment to correct by repair or replacement any part defect due to faulty material or workmanship. Under these same terms products with an LED light source shall be warranted for a period of THREE (3) years. The return must be within THIRTY (30) days of receiving the RMA from Altman. Altman warrants for NNINETY (90) days any spare part it manufactures. On spare parts or products Altman does not manufacture, such as lamps, sockets, lenses, roundels, electronics, ignitors, ballasts, etc. Altman will grant the same warranty given Altman by its vendors. installation, careless handling or where repairs have been attempted by others. This warranty is in lieu of all warranties or guarantees expressed or implied and no representative or person is authorized to assume Altman any other liability with the sale of Altman’s products. F.O.B. POINT: Factory Yonkers, New York. SHIPPING AND FREIGHT CHARGES: All shipping, insurance, and freight handling charges are the responsibility of buyer. DELIVERY: Altman will make every attempt to ship from stock. Altman does not accept responsibility and shall not be held liable for delays in delivery due to any cause whatsoever beyond our reasonable control including, but not limited to, fires, acts of God, governmental orders, strikes, inability to obtain necessary labor, materials or manufacturing facilities. CLAIMS: Count and inspect all packages carefully before signing delivery receipts. If a shortage in the contents of a package is suspected, contact Altman Stage Lighting immediately. If Altman Stage Lighting is instructed to drop ship an order the dealer and/or his customer are responsible for immediately examining the contents for damage or loss. No claims will be allowed after 3 working days from receipt of shipment. Needed inspection by carrier for loss or damage is to be reported by the dealer. RETURNS: Goods are not acceptable for return to Altman Stage Lighting unless a Return Merchandise Authorization (RMA) has been granted. All returns must be shipped prepaid with an RMA number. All returns will be inspected for damage. If applicable, cost to restore merchandise to “as new” condition will be deducted from any credit due. Additionally, all returns are subject to a 25% restocking charge. No return will be accepted if more than 30 days has elapsed since ship date. CANCELLATION: A cancelled order is accepted within 10 days of receipt of purchase order. A 25% manufacturing/processing fee will be applied on an cancellation following those 10 days. HOLD FOR RELEASE ORDER: All “Hold for Release Orders” will be at the discretion of Altman Lighting. No order is processed or built until the order is released. QUOTATIONS: Altman Lighting will provide factory quotations to Authorized Altman dealers. Altman Lighting is not responsible for take offs on specifications submitted. A complete bill of materials, including part numbers, accessories and lamps shall be provided by the Altman dealer. Quotations will be completed in a timely manner and processed in the order that they are received. Altman Lighting cannot be held responsible for missed deadlines. All quotations are valid for 30 days unless otherwise noted. It is the dealers responsibility to check the quotation provided by Altman. Altman Lighting will not be responsible for any missing items. CUSTOM PRODUCT: Custom product quotations may require Engineering and safety certification costs. All costs will be discussed and agreed upon prior to any quotation. PURCHASE ORDERS: All purchase orders submitted to Altman require Altman part #’s for proper processing. Demo units are provided for a MAXIMUM of 30 days. If not returned within 30 days from the date on the accompanying RMA invoice, dealers account will be assessed a 20% user charge. If demo fixtures are held 60 days or more, they are no loner returnable at which time the dealers account will be ASSESSED FULL NET PRICE which is payable immediately. Demo equipment requires an RMA before being returned. Demo equipment purchased by the dealer will be invoiced for equipment and full freight charges.Freight charges are the responsibility of customer. If demo equipment is shipped via Common Carrier or any other preferred means, then all freight charges are the customer’s responsibility, both ways. Any demo equipment damaged or lost is the full responsibility of the customer.B. LAMPS WILL NOT BE INCLUDED WITH DEMO EQUIPMENT. IF NEEDED, THEY WILL BE INVOICED AT NORMAL DEALER PRICES AND ARE NOT RETURNABLE. ANY DEMO FIXTURE THAT WE OFFER WITH A LAMP WILL BE SHIPPED BUT THE DEALER WILL BE INVOICED FOR THE LAMP, WHICH ALSO IS NOT RETURNABLE. Please note that not all products are available for demo purposes due to size and limited availability. THERE ARE NO EXCEPTIONS TO THESE CONDITIONS.